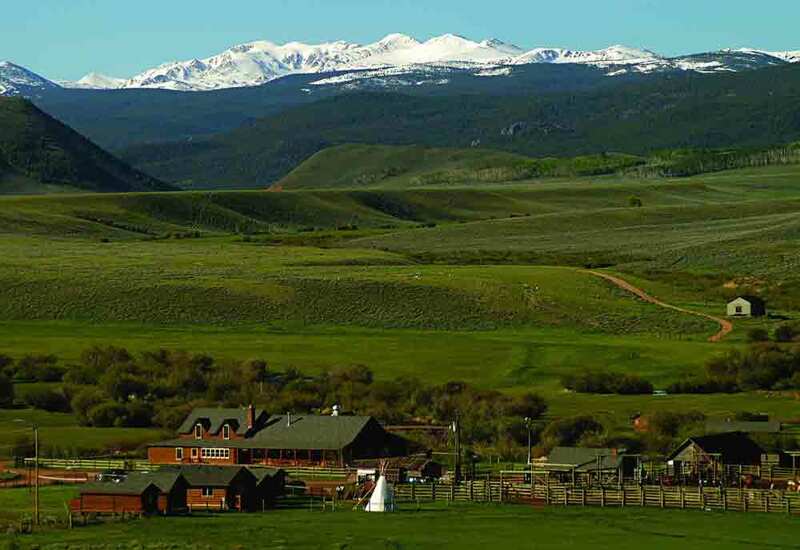 Laramie River Ranch is located in north central Colorado's Rocky Mountains along the pristine Laramie River. Horseback riding is our specialty but we also have exceptional fly fishing, unique naturalist-led adventures, a full children's program, comfortable accommodations, and excellent food. Visit during the summer rodeo season or for our annual cattle drive to bring out the cowboy or cowgirl in you! Picture yourself fishing for wild brown trout on the Laramie, helping wranglers push cows between pastures, or just kicking back on the porch with a hefty glass of iced tea and a homemade cookie. You may catch a glimpse of the antelope which roam our sage hillsides, the elk which range among the aspen, or moose which occasionally wander down the valley. Evenings you'll enjoy country western music, square dancing, star gazing, and good conversation. Our small size allows us to provide you with a big dose of western hospitality. "The best horseback riding in Colorado!" 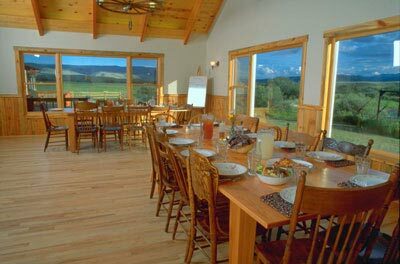 Ranch Dining: Outdoor activities and fresh mountain air encourage healthy appetites. Whether it's on the trail or at the ranch, meals are an event at the Laramie River Ranch. St. Louis pork ribs, Chicken Parmesan, Ribeye steak - you'll leave with our recipes tucked in your suitcase. Our kitchen prepares ranch baked breads, fresh salads, fruits and vegetables, and desserts which keep you coming back for more. Vegetarian alternatives are available at every meal. Let us know your special dietary needs. 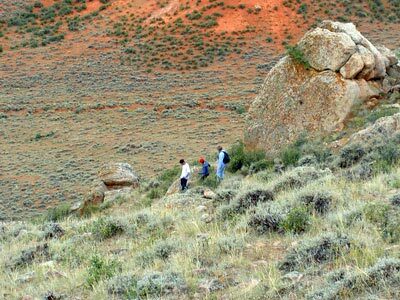 Ranch Activities: LRR provides a wide variety of activities to suit everyone's tastes. Our horseback riding over a wide variety of terrain is top notch. Instruction is available at all levels including pony rides for kids four to six. You pick! - Fly fishing for brown trout, fly fishing instruction, naturalist-led explorations and simple hikes, swimming and hot tubbing, river tubing, petting zoo, bonfires, country western music, cattle gathering and penning, photography, and natural horsemanship clinics. Ranch Lodging: Our historic lodge has a spacious living room, beautiful stone fireplace, and lovely dining room which overlooks the Laramie River and the Rawah Wilderness Area. The lodge has seven comfortable accommodations. The living room and our three-season porch provide ample room to relax, play a game, or read a book after a day in the saddle. Five cozy riverside log cabins have private screened porches and gas fireplaces. Fresh flowers and your own personal cookie jar are freshened daily. Cancellations 60 days prior to arrival will be refunded. Cancellations made after that time are subject to forfeiture of the deposit. Deposits for groups of 12 or more people are not refundable.